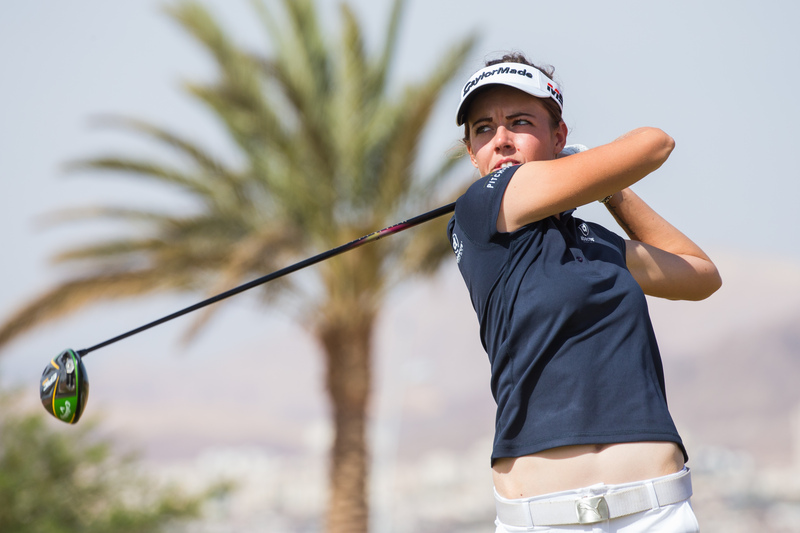 DAAN Huizing will forever hold a small place in history as the first overnight leader of the Jordan Mixed Open on eight-under par – but it was the LET’s Meghan MacLaren who did the most to make the unique format an instant success. The Dutchman birdied half of the holes at Ayla Golf Club against only one bogey to card an opening round of 64. The sublime score gave Huizing a one-shot advantage over two golfers from England — fellow Challenge Tour player Jack Senior and Ladies European Tour player Meghan MacLaren. The first day at the Jordan Mixed saw the first use in the world of a format allowing men, women and senior golfers to compete in the same field. MacLaren, who has been a vocal advocate for the strength of the women’s professional game, wasted no time in backing up her words. She carded birdies on her first two holes and rode the momentum to post the early target of seven-under. MacLaren, who successfully defended her Women’s New South Wales Open title last month, was delighted with her start. She said: “If I’m going to write about it and talk about it all the time, then I’d better back it up with my golf. “I’m delighted to do it in this tournament, particularly. Hopefully it will send a bit of a message. “But any time you shoot seven-under in a tournament, you’re not going to be too far off the lead. Hopefully this means a few more people will be watching. “Given everything I’ve talked about over the last few months, it is nice to back it up. But I didn’t want to put any extra pressure on myself. I’ve been saying to everybody that the girls’ standard of play will show if the course is set up properly. Huizing, who won the Lythan Trophy and St Andrews Links Trophy in 2012 before turning pro after playing in his second Eisenhower Trophy at that year’s World Amateur Team Championship, in Turkey, said: “It was a really nice round. I was hitting it nicely and made some nice putts to keep the round going as well. “I enjoyed it. It was pretty chilled and it was good fun,” added the two-time winner on the Challenge Tour, whose victories both in his maiden season in 2013. “It will be interesting to see after three days what the findings are, but it was fun. Streeter’s six-under 66 was the low-round among the over-50s contingent and placed the Lincoln golfer firmly in the mix with two rounds to go. He said: “It was brilliant out there. I really enjoyed it. I think the tees were fairly good and I think we were very close to each other on most holes. Senior, from Lancashire was also happy with his day’s work, saying: “I think you’ve got to enjoy this format, but it’s hard to know how it’s all going to pan out at the end of the week. 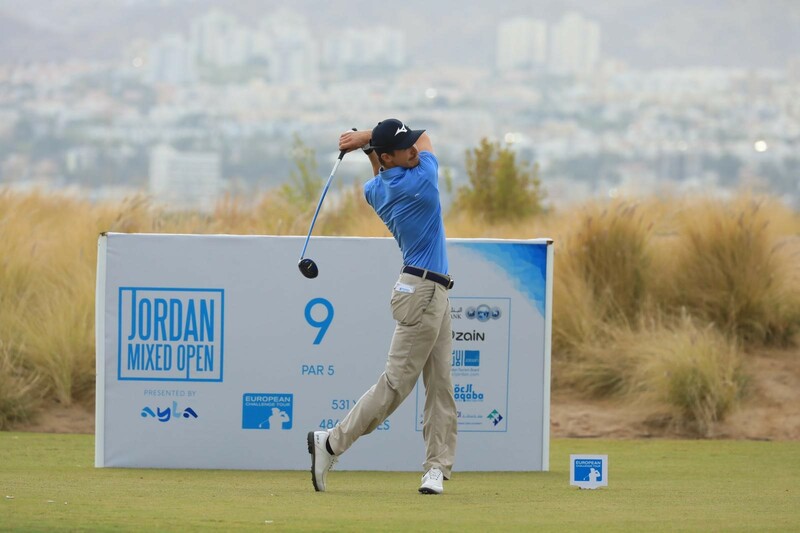 With the golfing community eager to see how the course set-up would play out, the opening round of the Jordan Mixed Open was a great success with players from all three Tours in contention and well-represented inside the projected cut line of even par. The unofficial battle for low-couple is heating up with LET Order of Merit leader Marianne Skarpnord and her fiancée, Challenge Tour player Richard Green, combining for a two-under total, while married golfers Kyle Henry of the Ladies European Tour and Scott Henry of the Challenge Tour combined for a one-over total. Mr Henry said: “I’m sure something along these lines would be great for both the guys and the girls. And Mrs Henry, who was prepared to wager some household chores on who would come out on top, added: “It’s been a really fun week and it’s just nice to be at a tournament together because usually the Tours are in different countries and sometimes different continents.